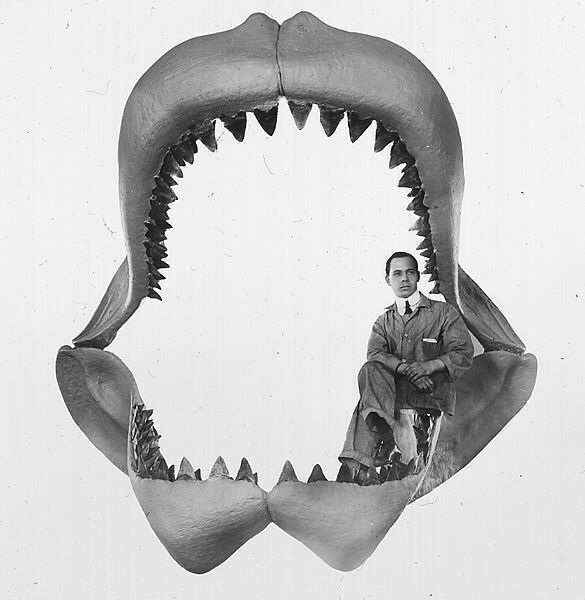 Carcharodon megalodon is an extinct shark that grew to lengths of more than 10 meters (33 feet). Scientists continue to debate its evolutionary relationships with the living white shark (Carcharadon carcharias) and many consider it to belong to a distinct genus, Carcharocles. The specimen was made available by the courtesy of Prof. Greg Retallack. Locality: Plum Pt., Maryland; Calvert Fm.